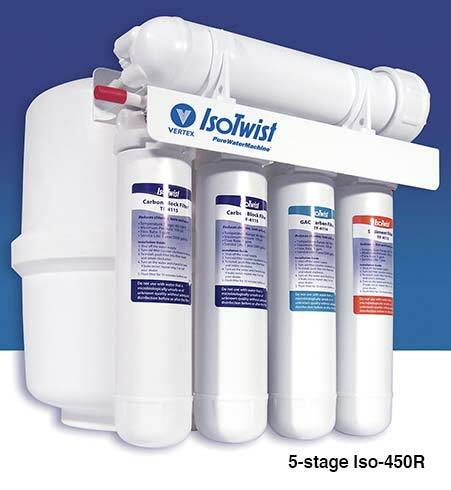 High Volume, 5-Stage 75-GPD filtration system with proprietary, twistoff cartridges, encapsulated RO membrane and post filter, all designed to make installation quick, easy, and sanitary. The EasyPur water filtration system has been specifically designed with premium features customers want and dealers appreciate. 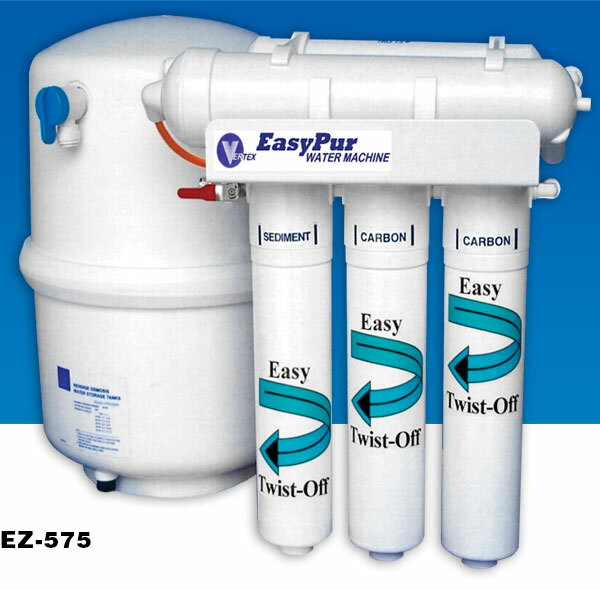 The EasyPur features proprietary, twistoff cartridges, encapsulated RO membrane and post filter, all designed to make installation quick, easy, and sanitary. Great for large service programs or for customers who like to do the filter replacement themselves. The EasyPur uses filter cartridges that are readily available to those in the water industry, but not at the hardware store. 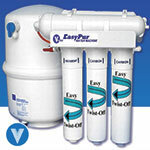 The EasyPur has 5-stages of filtration to ensure premium water taste and quality. The EasyPur comes complete, ready to install with connection hardware, tubing, faucet and instruction manual.